I like the product but dont like how many you have to take to get the full benefit. Why not get the most from your multivitamin? 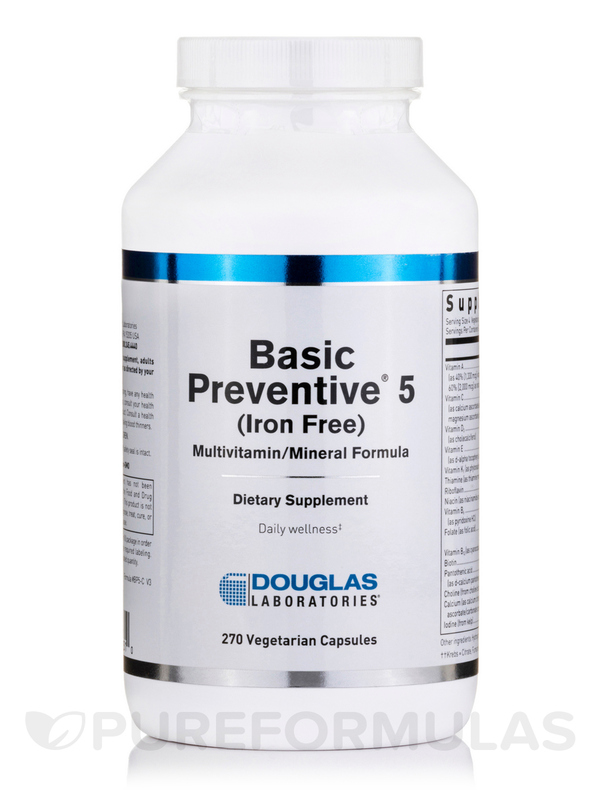 Douglas Labs' Basic Preventive 5 (Iron Free) is formulated with over 30 essential vitamins and minerals. However‚ in addition to that‚ it features an antioxidant formula‚ comprised by higher doses of essential nutrients like vitamins C‚ E‚ and more. Now‚ the reason why this antioxidant protection may be so beneficial is because recent studies have suggested that antioxidants - like the type you'll find in Douglas Labs' Basic Preventive 5 - may be able to stabilize excess‚ unstable atoms in our body called free radicals. Free radicals are the result of prolonged oxidative stress and may contribute to signs of aging in addition potentially increasing our risks for certain health conditions. 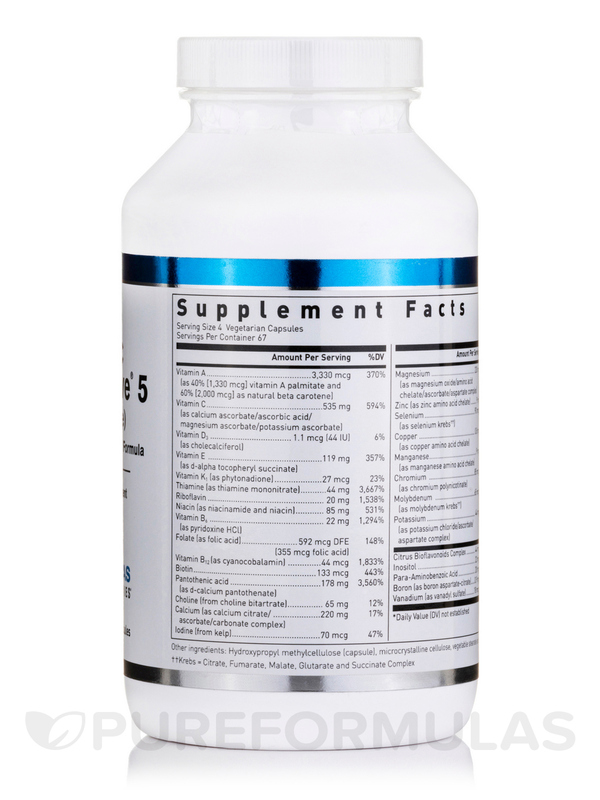 Some of the crucial bodily functions that Douglas Labs' multivitamin Basic Preventive 5 may support are cellular health‚ blood health‚ immunity‚ bone development/health‚ plus much more. Basic Preventive 5 also features Citrus Bioflavonoids‚ phytochemicals (plant chemicals) that may possibly help reduce or lessen certain types of inflammation. 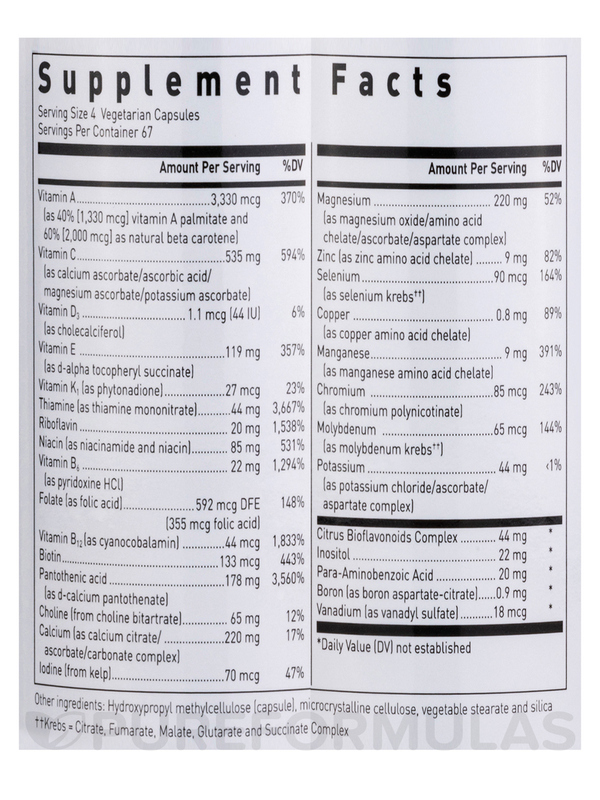 So if you're looking for a multivitamin that's formulated to be much more than that‚ Douglas Labs' Basic Preventive 5 may be just what you're looking for. Modified cellulose gum‚ methylcellulose‚ silica‚ vegetable stearine‚ cellulose‚ titanium dioxide‚ magnesium stearate‚ gum ghatti‚ natural tangerine flavor‚ canthaxanthin (carotene color). 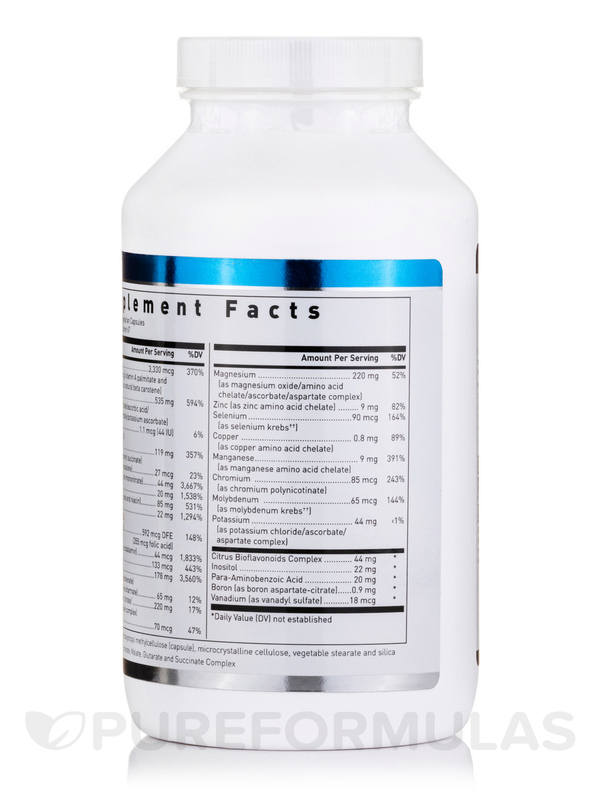 As a dietary supplement‚ adults take 6 tablets daily with food or as directed by physician. 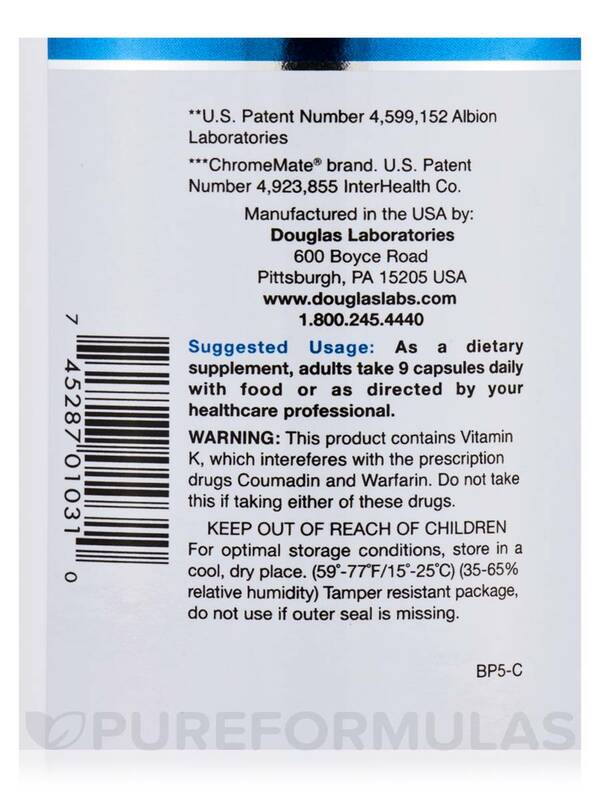 This product contains Vitamin K‚ which interferes with the prescription drugs Coumadin and Warfarin. Do not take this if taking either of these drugs. 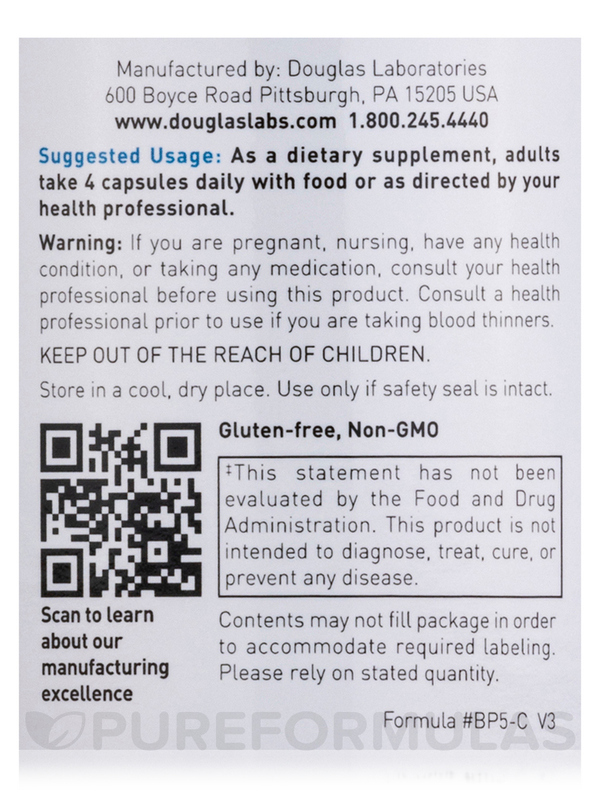 Basic Preventive 5 by Douglas Laboratories was prescribed by my child's pediatrician. I didn't notice a difference after taking them for several months. Also, the amount needed to supplement my child's diet was too high. This a very good brand though. Overall, I think this is a good multivitamin but it just didn't work well for my child. It has all the vitamins and minerals I am looking for. You have to take too many of them. 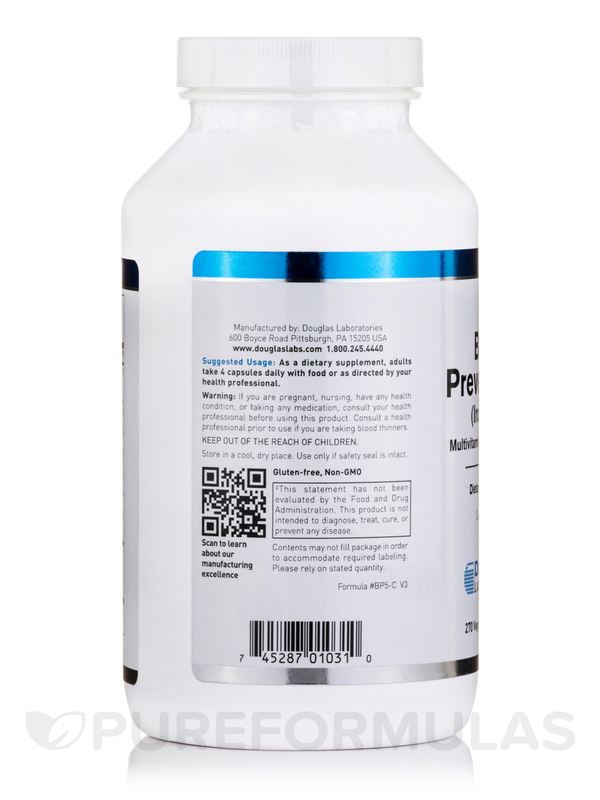 Basic Preventive 5 by Douglas Laboratories is a great product!